Circular and polygonal cylinders intersect in interesting 3D curves. 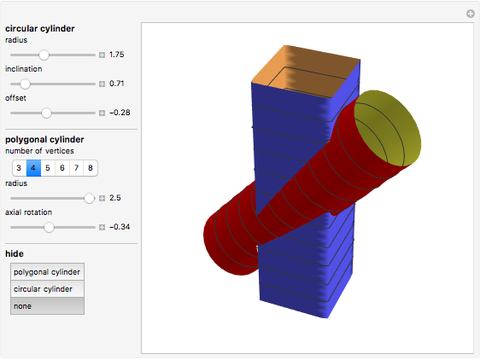 Mathematica's built-in function RegionFunction shows that the cylinders make realistic pipe connections. , with parameters and . Define the functions and . 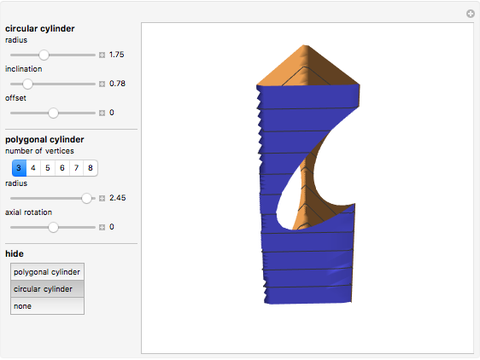 The and functions define the composite curve of the -gonal cross section of the polygonal cylinder . Erik Mahieu "Intersection of Circular and Polygonal Cylinders"